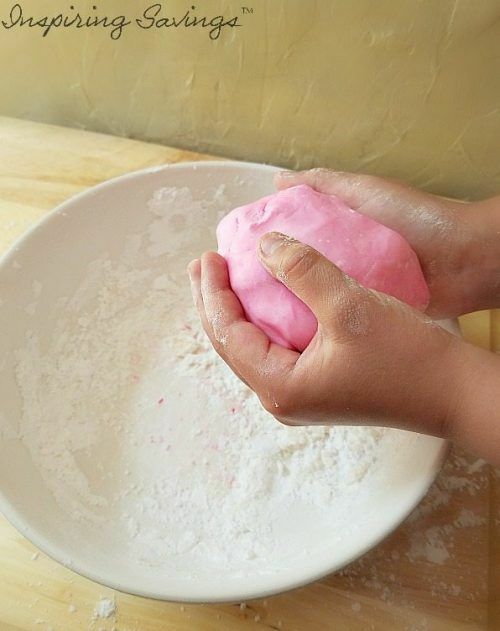 Homemade Edible Playdough - Easy, FUN & Yummy! Home→Craft Projects→Homemade Edible Playdough – Easy, FUN & Yummy! Homemade Edible Playdough – Easy, FUN & Yummy! 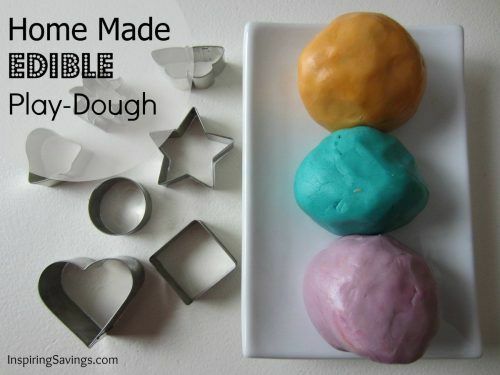 Edible Playdough is a favorite kid-friendly craft project to make! Our recipe is a delicious and fun way to get hours of playtime this weekend with kids! Made with all natural honey. This is hands down a fun recipe for kids. As a mother of young kids, I can tell you I have made my share of homemade edible playdough. Every time we make it we do something a tad different. Every time I cross my fingers and hope it doesn’t flop. This time we finally GOT IT! Oh, and you may also be happy to know that this version is gluten-free. I am very excited to be sharing our recipe with you. Most edible playdough recipes call for flour and a few other ingredients that just do not taste good at all. Yes, other recipes may be edible, but let’s face facts. Young kids play and oops…… There they go….right into the mouth. Why not make something that tastes good? I for one, want something that is worth putting in my mouth. This recipe is sugar based. Depending on what you have on hand in your pantry you will be able to make this recipe. I have made it with both honey and corn syrup. I personally prefer the version that calls for honey. Especially, when the honey is raw and harvested locally from my favorite Pastor and beekeeper. My kids prefer the corn syrup over the honey (in terms of taste). You may want to try both ways to see what your kids prefer. My kids especially love to get the cookie cutters out and pretend they are making cookies. The best part of all is that they can eat those “cookies”. 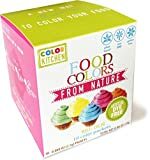 This edible playdough is a great substitute to make for the store-bought stuff you really don’t want your kids eating. Melt the butter in a microwave safe bowl. Once the butter has melted, add your sweetener, vanilla, and salt. Next, you will add in the powdered sugar one cup at a time until blended. You may need to use a mixer as it will get pretty tough to mix as you add more powdered sugar. You can add a few drops of food color at this point, or separate into smaller portions and create multiple colors. I prefer using gel food coloring. Once it is mixed well, it won’t come off on hands or surfaces, though, so no worries there. Since this is an edible playdough recipe, you won’t have to worry about your kids sneaking a bit into their mouth, or touching their mouth while playing with it. You will, however, want to throw it away after they are done playing. This is definitely a one-time use edible playdough. Time to get busy and PLAY with your new playdough. I feel as though my daughter tries to eat half of the playdough. I have to watch her closely. It is super tasty but full of sugary goodness. Go ahead and give it a try. This is a FUN recipe for kids to try out. Melt butter in the microwave in a medium bowl. 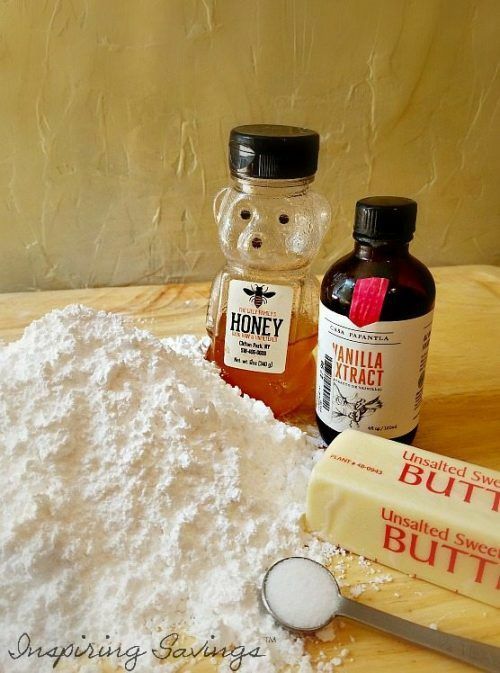 Once melted add in honey, vanilla, and salt. Add powdered sugar one cup at a time to mixture. You may need to use a mixer when adding in the last cup. It will become very stiff. Cover with plastic wrap to keep moist until ready to play with. For hygiene purposes, this recipe is one-time use only. 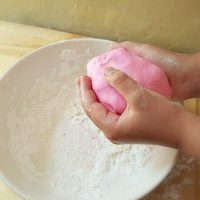 This edible playdough recipe for your kids is a great choice for a fun project and activity that will give them hours of play time. You’ll love being able to make something with your kids, and they will love that you don’t mind if they take a little nibble here and there as they play! Yes, Absolutely! I would just wait until it cools before adding into the rest of the mixture. I have had to microwave my honey due to crystallization before. But made sure it was not hot. Love this recipe! I’m making it for party favors for my kids’ birthday party tomorrow. Should I refrigerate it till then?! Or does it not need to be refrigerated. Thanks so much! Hi Anne, No it is not.